What would the world be without watermills, pianos or email? 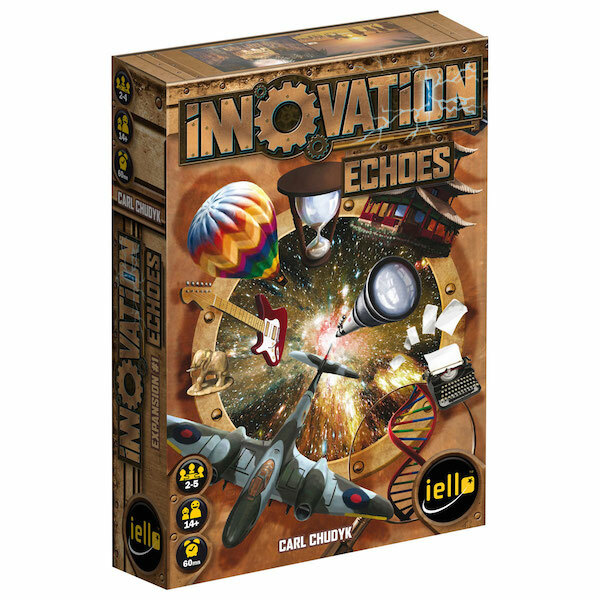 With 105 new Innovations to discover and 5 new achievements to perform, this first expansion for Innovation offers countless new possibilities to refresh and renew your games. Echoes adds astonishing new mechanisms for an even more thrilling and intense game experience. Master the Echo Effect: Dogmas from the past still resonate in the present! Gather bonuses from special cards to increase your score. Control the future by playing foreshadowing cards that only come into play later in the game! Only when you master Time itself will you lead your civilization to glory... and victory!